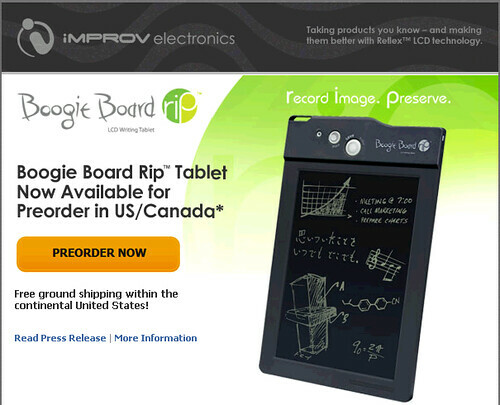 The Boogie Board Rip tablet will not be able to ‘recall’ saved pages directly on the tablet’s writing surface. It is a designated eWriter device, not an eReader. You will also be unable to load documents from your PC onto the Boogie Board Rip tablet.